Dr. Jason Bearden, specializing in Diagnostic Radiology and Neuroradiology, received his medical degree from the University of Alabama School of Medicine. He did an internship at the Baptist Health System, where he also completed his residency. A fellowship program, at the Barrow Neurological Institute, followed. Dr. Bearden is board certified in Thoracic and Cardiac Surgery and has a practice experience of over 15 years. 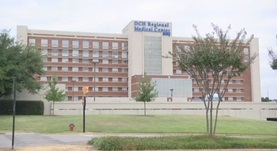 He is currently practicing at the DCH Regional Medical Center.